AUDI A3 (8L1) 1.9 TDI 2000/10 - 2003/05 74 100. VW GOLF IV (1J1) 1.9 TDI 2000/09 - 2005/06 74 101. VW GOLF IV (1J1) 1.9 TDI 4motion 2000/09 - 2005/06 74 101. VW GOLF IV (1J1) 1.9 TDI 1998/12 - 2001/06 85 115. 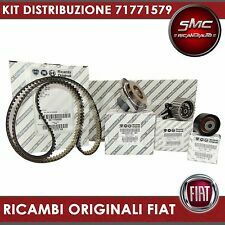 Cuffia Inferiore Protezione Leva Cambio Per Rif.originale 4440683 - 7602682 Fiat Panda 4x4 Panda 750 - 900 - 1000 - Dal 1986 Al 2003 Fuori Produzione !!! Protection Cap Lower Lever Codice Prodotto: (622)...Clicca Sotto per Descrizione Completa. 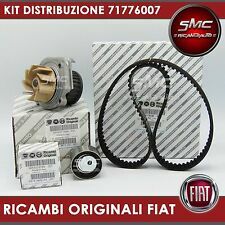 1 x CAMSHAFT DEPHASER PULLEY ---: GENUINE :--- RENAULT / OE PART NUMBERS 7700108671 8200539619 8200782671 FITS RENAULT CLIO 172 | 182 | DESCRIPTION MODEL YEAR BODY STYLE KW HP CC RENAULT - CLIO Mk II (172) - 2.0 16V Sport (CB0M) to MY: 10.03, Engine Code: F4R730 02.00 - Hatchback 124 169 - 169 1998 RENAULT - CLIO Mk II (182) - 2.0 16V Sport to MY: 04.05 01.04 - Hatchback 132 - 132 179 - 179 1998. Recondition oil pump audi a4 a3 A4 A5 a6 TT BRE BKD BRD 140-170 hp. for all 2.0 tdi. AUDI A3, A4, A5, A6. Mistakes happened only if you will buy without removeing ssump first. This pump will work another 200000 miles, stronger now we make whole bigger to 8mm and hexagon key BIGGER AND HARDER old used ballance shaft can be broken after FEW HOUNGREET miles dont buy used pump becouse you never know what you buying you can loose your money and after few months you may have to spend again money for labour and pump. Ferodo DS2500 Front Brake Pads for BMW M5 F10 / F18 (2011 ) Models with Brembo Calipers - PN: FCP4712H. The main characteristics of the DS2500 pad are Upon receipt of your order you will be asked to sign for the goods received in good condition. Engine Codes which are Suitable BNA BLB BPW BRE BRF BVG BVF BVA BRD Etc. Audi A4 2.0 TDI 16V 2004> Balance Shaft Delete Oil Pump Conversion Kit. 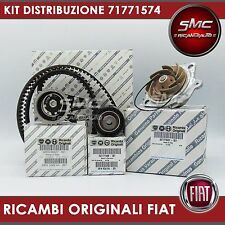 1 x New Genuine VW Crankshaft Oil Chain Sprocket. On removal of the balance shaft assembly the oil feed gallery hole will need to be plugged or else the engine will d ramatically loose oil pressure so the engine block will need to be tapped, threaded and a threaded plug inserted into the block with Lock-Tight. Votre joint de culasse fissurée Block Seal peut colmate le fissurée de joint de culasse jusqu'à 5 millimètre. SANS PROFESSIONNEL ! SANS DEMONTER DE JOINT DE CULASSE ET DE CULASSE! Si thermostat fonction bien, vous pouvez le garder, sinon vous pouvez l'enlever pour continuer la procédure. This set Up is For Transverse Vehicles Only Example - Golf MK5 MK6 2.0T GTI / S3 ETC. 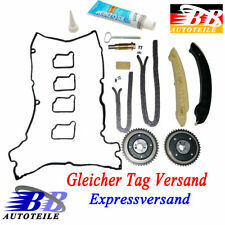 1 x New Genuine VW Crankshaft Drive Sprocket / Gear. 1 x New Front Crankshaft Stretch Bolt. 1 x New VW Oil Windage Tray ( Modified ). JAUGE a huile pour CITROËN - fiat - peugeot. Jauge à huile. Citroen: Berlingo, C15, Evasion, Jumpy, Xantia, Xsara, ZX. 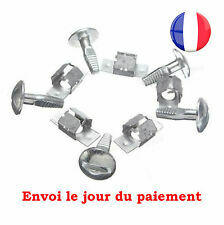 Peugeot : 205, 306, 405, 406, Expert, 806, Partner. Fiat : Scudo, Ulysse. Longueur : 526 mm. Getriebe-Typ: GA6HP26Z und GA6HP28Z. ZF GETRIEBEÖLWANNE -NEU-. Eine Getriebeölwanne mit Schrauben vom deutschen Erstausrüster ZF. 1x ZF Getriebeölwanne mit Filter und vormontierter Dichtung. für 6-Gang Automatikgetriebe BMW. 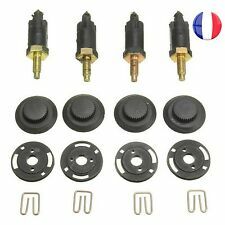 Référence OEM: 037968 - 0379.68 - 0379,68 - 037656 - 0376.56 - 037660 - 0376.60 - 037655 - 0376.55 - 015708 - 0157.08. pour le turbo du moteur 1.6 l hdi tdci mz-cd 109/110 ch. CITROËN - PEUGEOT 1.6 HDI 110 CV - FORD 1.6 TDCi - MAZDA 1.6 MZ-CD 110 CV. Dieser Faltenbalg sitzt direkt am Ölabscheider. Produktgruppe: Motor. Unser Standort. Passt für 99610723752, 996.107.237.52, 996 107 237 52. wie abgebildet. Originale 1331073. Per Ford Fiesta - Fusion. Motori 1.4 TDCI. Lunghezza asta: 470 mm. Esperienza e professionalità al vostro servizio da oltre 50 anni. Pochette de joints BOSCH pour pompe à injection BOSCH VE EDCélectronique. Volkswagen (TDI-SDI) / BMW (TD/TDS)/ Audi (TDI ) / Renault DTI / IVECO/ Volvo. BMW TD TDS. BMW 3 (E36) 318 tds (01/1995 02/1998). Compatible avec les voitures Peugeot, Citroën, Fiat. matière :acier galvanisé. ZF GETRIEBEÖLWANNE -NEU-. GETRIEBE-TYP: GA8HP70Z. 24 11 8 612 901 Ölwanne. 1x Getriebeölwanne mit integriertem Ölfilter und Dichtung für GA8HP70Z. 24 11 7 552 108 Schraube Innentorx. 24 11 7 552 349 Verschlussschraube. 08.00-18.00 Uhr. © BB-Autoteile. BMW / MINI. 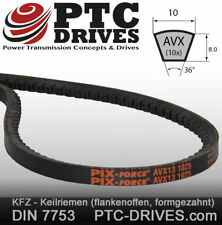 Hohe qualitat Magnetventiel zu Mini / BMW 1.6 L. BMW - 11 36 7 564 734 / 11367564734. BMW - 11 36 7 566 652 / 11367566652. 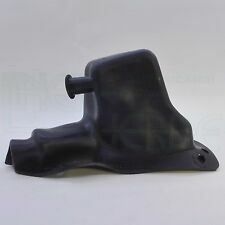 BMW - 11 36 7 587 760 / 11367587760. BMC 1.5 DIESEL MARINE NARROWBOAT BOTTOM END GASKET SET. REAR HUB BEARING NUTS WITH LIP-SEALS. REPLACES THE USELESS CORK, TEFLON OR BRASS SEALS: IN THE KIT ARE SLEEVES. MY OWN DESIGN, PRECISION MACHINED IN CORNWALL. NEW SEALS AVAILABLE THE ACHILLES HEEL OF ALL THE EARLY M.G.s. PREMIUM TIMING BELT 120XL031 LAWN RAKE BELT SCARIFIER BELT. QASHQAI 1.5 DCI. - 5 LITRI OLIO ELF EVOLUTION TECH FE 5W30. 1.5 DCI 81 KW - 110 CV. - FILTRO OLIO. IL KIT COMPRENDE - FILTRO ABITACOLO. 5 LT Olio Selenia WR FORWARD 0W30. MOTORI 1.6 / 2.0 MULTIJET. OLIO OE682/3. SI ALLEGA REGOLARE SCONTRINO DI VENDITA O FATTURA SE INVIATI I PROPRI DATI. 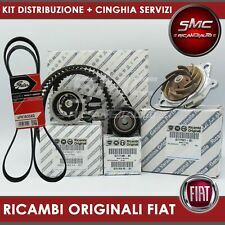 Pompa acqua Kit cinghie dentate. LANCIA DELTA III (844) 1.4 2008/09 - 0/ 110 150. LANCIA DELTA III (844) 1.4 16V 2010/07 - 0/ 103 140. LANCIA DELTA III (844) 1.4 Bifuel 2011/07 - 0/ 88 120. LANCIA DELTA III (844) 1.4 2008/09 - 0/ 88 120. Compatible avec les voitures Peugeot, Citroën, Fiat. Ermöglicht eine schnelle und genaue Überprüfung des Lagerspiels. Kurbelwelle nicht verdrehen! 1 Streifenblau. SET PLASTIGAGE 0.025-0.230mm grün rot blau. blau: für einen Spielbereich von 0,102mm bis 0,229mm. You therefore do not suffer the effects of 'turbo-lag' (where there are not enough exhaust gases to compress the quantity of air required lower down in the rev range). The way the lobes spin is that two cogs interlink at one end outside of the main air-flow path, and connect to a pulley on the outside of the turbine housing.